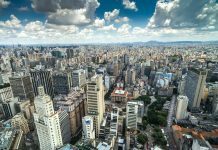 Brazil’s stock markets were raging since the start of 2017, and may very well have reached overbought levels. 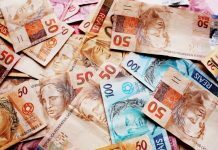 However, the sharp plunge last week after revelations of President Temer being involved in a bribery scandal has arguably provided an attractive entry point. Investors consider such short-term price corrections as an opportunity to take up long-term positions. Mohamed El-Erian, chief economic adviser at Allianz SE stated, “If you are a patient long-term investor able and willing to stomach significant volatility, current valuations offer an attractive opportunity to gradually build both bond and equity positions.” He further cautioned that in the short term, investors may experience volatility, but value exists for long-term investors. Generally, stocks trade at an average price to earnings ratio of 20-25x. Stocks trading lower than their average price to earning multiples or lower than the sector average price to earnings multiples attract investor attention because they’re considered cheap. The price to earnings multiple compares a stock’s price to its forward earnings per share. If a company trades at a high PE, it means investors are anticipating higher growth in the future. 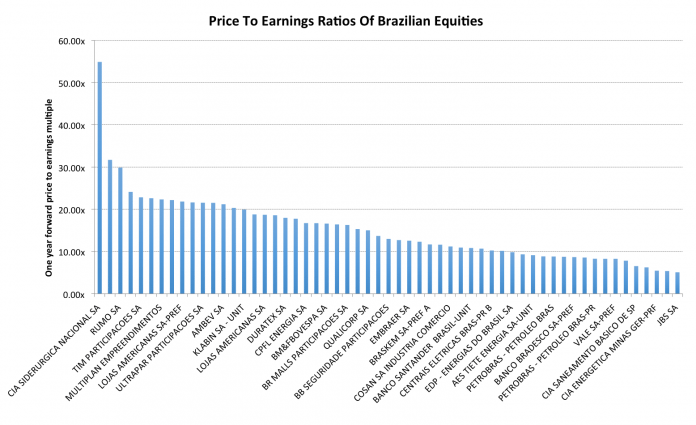 Stocks in the Brazilian stock market trade at a one-year forward price to earnings ratio of 15.2x. 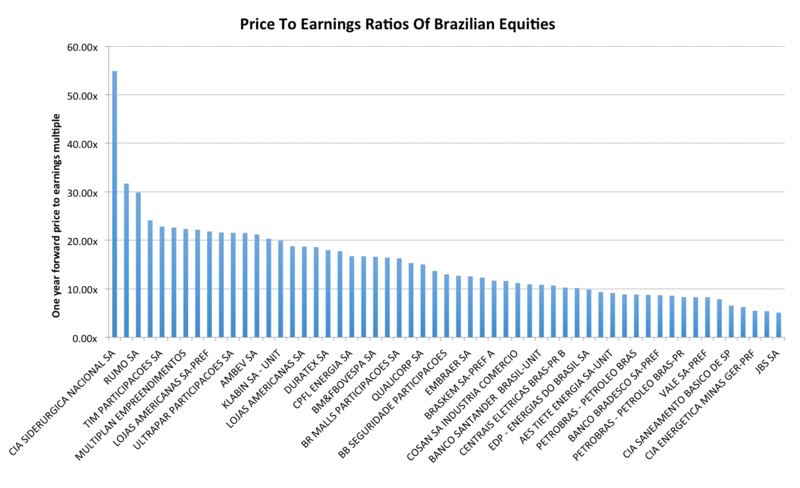 JBS SA (JBSS3), CIA Paranaense De Energi, and Banco Do Brasil (BBDO) are currently trading at steep discounts to their peers. They have one-year forward price to earnings multiples of 5.1x, 5.4x and 6.3x respectively. 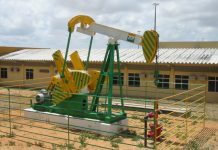 Meanwhile, CIA Siderurgica Nacional SA (SIDY), Raia Drogasil SA (RADL3), and Rumo SA (RAIL3) are trading at premium valuations. They have PE multiples of 54.9x, 31.7x, and 29.9x respectively.